“INFINITI Accelerator 2.0” Startups Present The Future of ‘Smart Cities’ and IoT Technology at Investor Demo Day. 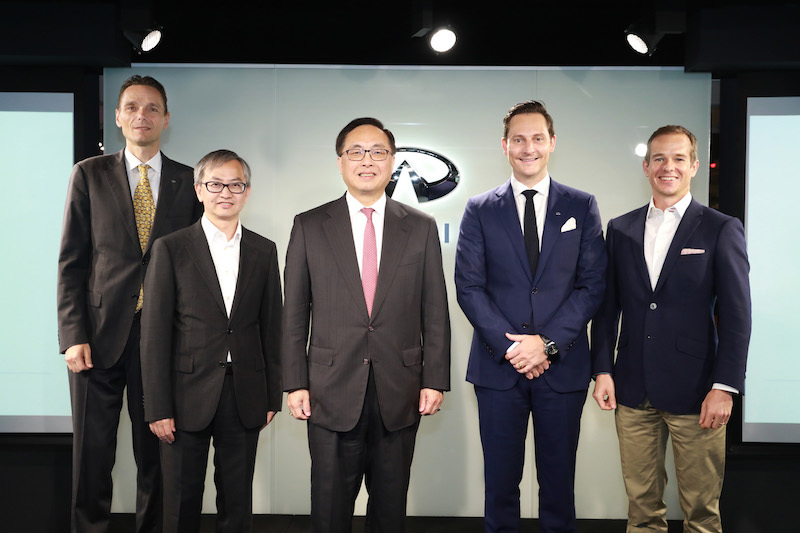 INFINITI in partnership with Hong Kong-based Venture Capital firm Nest, yesterday (12 October 2016) concluded the 12-week “INFINITI Accelerator 2.0” program with an Investor Demo Day held at the INFINITI LAB, a co-working space on the first floor of the brand’s flagship showroom in Hong Kong. Nine startups pitched their businesses to over 100 potential investors with the goal of securing additional funds and resources to rapidly scale their companies. 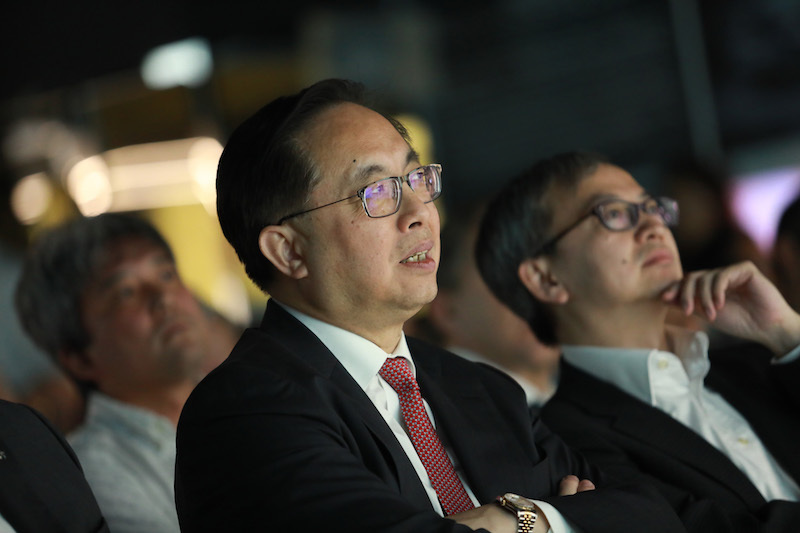 Alongside the investors, Mr. Nicholas Yang, Secretary for Innovation and Technology and Dr. David Chung, Under Secretary for Innovation and Technology of the Hong Kong SAR Government were present to hear the startups’ innovative ideas around ‘Smart Cities’ with a particular focus on connectivity technologies as solutions for future intelligent urban mobility. The “INFINITI Accelerator 2.0” is the company’s second accelerator program that supports startups working on innovative ‘Smart Cities’ solutions and IoT technology. Nine startups out of 140 global applicants were selected to participate in the program including two from Hong Kong. Each founder received 12-weeks of tailored training and mentorship on the critical components of business success including branding, marketing, fundraising, financial management and legal advice. The entrepreneurs and their teams also met with industry heavyweights including Dr. Winnie Tang – Founder of Hong Kong’s Smart City Consortium, Ben Nader – Founder and CEO of Butterfleye, Lindsay Jang – Co-founder of Yardbird and Ronin in Hong Kong, and Tiger Fang – General Manager of Uber, Western China about their business experience in Greater China. Some of the startups also travelled to Shenzen to meet with leading Chinese technology giants, Huawei, DJI and Oppo as part of INFINITI’s new partnership with China’s Tongji University. The nine startups that successfully completed the “INFINITI Accelerator 2.0” program hail from four different countries and cities. They include: Kazoo Technology (HK), Visionaries 777 (HK), Pilot Automotive Labs (Singapore), aureso (Singapore), Hapticus (Singapore), Carpool Arabia (Dubai), Dagmy Motors (USA), Drop (USA) and kraftwerk (USA). Each was selected as they share INFINITI’s vision to improve the future of urban environments through technology. Among the startups is Visionaries 777, an augmented reality company from Hong Kong that is developing an interactive car configurator application, which aims to revolutionize the modern car showroom, enabling users and customers to visualize and customize their ideal car from the inside out. Another Hong Kong startup, Kazoo, is creating a technology that enables touchscreen devices to interact directly with objects, turning them into card readers and removing the inefficiency of manual input. From the USA, a highly innovative startup, kraftwerk, is developing a compact fuel cell for cars and other applications that uses natural gas to produce clean energy. The technology will rapidly bring down the cost of electric cars and reduce charging time. From Singapore, Pilot Automotive Labs is developing an affordable plugin for aftermarket vehicles that increases car safety and aims to reduce lives lost on the road. Roland Krueger, President of INFINITI Motors Company said: “At INFINITI we have a culture of innovation and work hard to foster an entrepreneurial spirit into all aspects of our business. The ‘INFINITI Accelerator 2.0’ program has been even more successful than the inaugural initiative. This year’s startups have proved to be exceptionally talented entrepreneurs who have developed highly innovative and sophisticated technologies that will undoubtedly play a role in shaping smart cities of the future. It has been an honor to guide and nurture these innovators at the INFINITI LAB and present them to the region’s most influential investors”. « Startup Launchpad is Back. Bigger. Better.